For Jose Merlo, the soccer field is a place he fondly calls home. 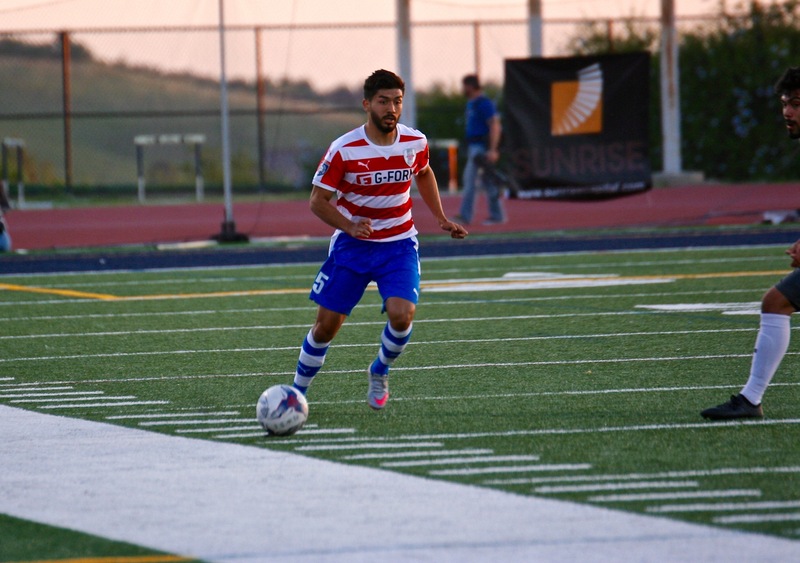 “I’ve been playing soccer since I was about three of four years old,” says Jose, a recent University of San Diego defender, and current Albion SC Pros player. Growing up in Escondido with his mother, father, and two younger sisters, Jose’s own passion for the game stems from his father, Tony, who played semi-professionally while Jose was a young boy. “He bought me my first soccer ball. I loved growing up watching him play,” says Jose. When he reached about 12 years of age, Jose joined the Albion youth league where he continued to play and develop his soccer skills. Although he tried out various positions while growing up, defense came to be his favorite spot. When discussing his position, Jose states, “I like possessing the ball on defense and countering. Having that role of a third person where people don’t expect you to come out and go forward is exciting for me.” Merlo continued his soccer career at San Pasqual High School where he was the team MVP in 2011 and 2012, and was also the league’s player of the year. While many athletic careers end at the high school level, Jose’s was only getting started. After being recruited by a number of colleges, he eventually chose Seattle University which he attended for two years. Merlo enjoyed the school, however he wished to continue his soccer experience closer to home, and transferred his junior year to play at the University of San Diego. Come watch Jose Merlo and the Albion SC Pros as they take on Frontera United May 14th at Mission Bay Stadium. Olivia is a junior softball player at the University of San Diego studying English and Marketing. She loves reading, playing (or watching) sports, baking, and spending time at the beach.